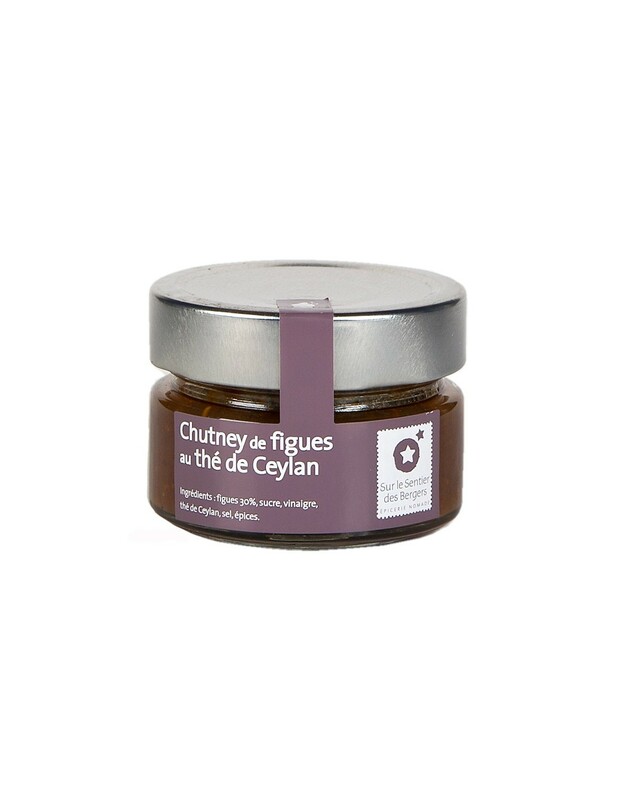 A bit spicy, this fig chutney is made with 30% figs, onions and Ceylon tea. 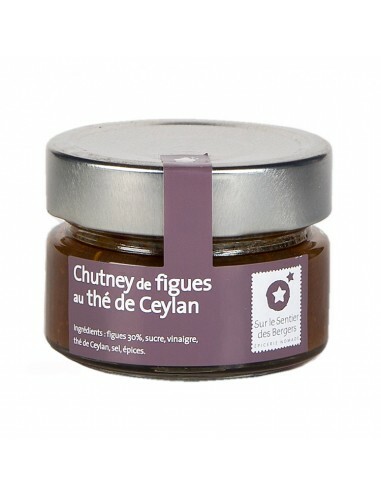 Ideal to accompany foie gras or French cheese, this fig chutney with Ceylan tea also goes well with cold meat, particularly white meat. Can be use hot or cold. Figs (30%), onions, sugar, vinegar, Ceylon tea, salt, spices.